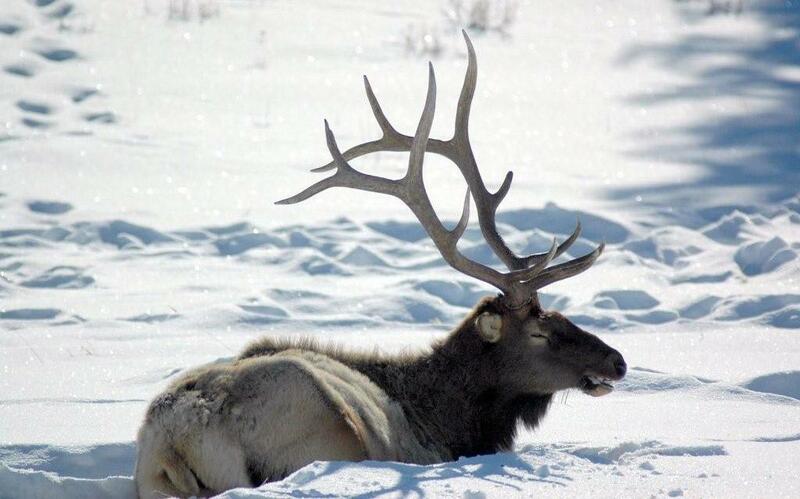 UPDATED: Thu., Feb. 7, 2019, 4:39 p.m.
Elk are used to dealing with heavy snowfall in Yellowstone and have an advantage over the smaller wolves who prey on the herd. A pack of wolves in Yellowstone National Park found themselves floundering through deep snow while hunting elk Dec. 27. The bull elk had the advantage outpacing and fending off the canines. The video shows that elk are capable of defending themselves from wolves and avoiding the apex predator. As reported by Brett French of the Billings Gazette in June research indicates that elk don’t fear wolves as much as previously thought. The video was published Wednesday by ViralHog, a video distribution company. Published: Feb. 7, 2019, 8:54 a.m. Updated: Feb. 7, 2019, 4:39 p.m.